This time of year, the country is dealing with a massive Arctic blast of cold weather that has many runners heading to the gym for a treadmill. With wind chills plunging below 0 degrees, a treadmill sounds like a fantastic idea. I personally can’t stand a treadmill, but it is the best option during extreme cold and ice storms. However, during regular seasonal cold weather, is running safe? Most experts agree that running during cold weather is safe as long as we take precautions against illness and injury. 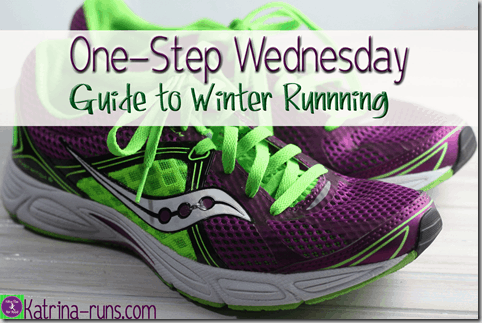 Here are a few things to keep in mind when setting out for a long winters’ run. Watch your step.Keep to a route that is familiar to you. Exploring a winter wonderland is fun, but not when you’re training for your next marathon. Save the exploring for a nice day hike. When you’re running, so many things are happening at once and running while on edge can create a nagging injury. Watch for icy patches and snow covered mischief. Puddles may not be puddles. A very thin layer of ice is almost impossible to see. Tread lightly in icy weather. Dress for the part.One mistake many beginners make is wearing TOO much clothing. You want to wear layers that you can peel off as you start to sweat. What you do NOT want is a soaking wet cotton shirt against your skin. Wear clothing that wicks sweat and dries quickly. A good investment is a wind resistant jacket for those days of sustained winds. Whatever you decide to wear, keep in mind that about 10 minutes into your run, you will be about 20 degrees warmer. Keep your feet warm with sock liners under wool socks, shoes with weather protecting materials like Gore-Tex, and even disposable heat inserts. Protect the extremities. Heat is rapidly lost through our heads. Even if we are adapted to the cold and need minimal layers, headgear is extremely important. Wear a sweat wicking beanie or hat, preferable one that lightly covers the ears but still allows you to hear your surroundings. That’s a tall order, but I had to choose head or ears, I would choose to protect my head. As much as 30% of our body heat is lost through our heads during sustained cold exposure. After covering your head, find something for your hands. Frostbite starts with the body par,ts farthest away from your core. During running, your arms are often bent at an angle, which limits blood flow even on a great weather day. Add in subzero temps and those fingertips are not getting the adequate blood flow to protect from frost bite. Cover your hands. Start with a layer of wicking material. If it’s extremely cold or windy, add a pair of wool or synthetic mittens. Protect your eyes.If there is snow on the ground, you want to prevent damage from the sun reflecting off the ground, especially at higher elevation. Polarized sunglasses will help. Keep a pair close by. Warm up, but not too much.There are 2 conflicting opinions about warming up during cold weather. Warming up inside allows the muscles to gradually get moving and the blood flowing. Warming up slowly outside will prevent sweating. Use your best judgment. IF you choose to do an inside warmup, keep it light. The last thing you want is to START a run already sweating. Wind sprints The rule of thumb is run INTO the wind first. Have the tailwind for the 2nd half of your run. Generally, you will be sweating on the 2nd half and you want the wind at your back. In high wind chill degrees, make sure your face is protected. Use a sunscreen, deep moisturizing face cream, scarf, or a full face balaclava (think ski mask). Stay hydrated.This is a rule always. Hydration is important is hot, cold, snowy, windy, perfectly calm weather. Protect your bottle from icing. There are a number of water containers that prevent freezing and bottle covers to keep it cool, not frosty. No matter what your winter running preference, keep in mind that safety is key, injury is a slippery step away, and bragging rights for braving ice is just not worth months in traction. Be smart, stay hydrated, and enjoy that post-run shower and mug of hot chocolate! Previous Post: « Should Women Lift Heavy?